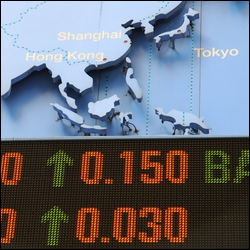 The FTSE 100 has taken another fall following the continuation of political unrest in Hong Kong. Britain's top share index fell by 15.19 points, or 0.2%, to 6,634.20 points, having hit its lowest level since early August on 26 September. Last week, the index dropped by 2.8%, meaning that it is now trading almost 2% down for the year to date. Meanwhile, the UK mining index fell 0.7% as copper prices fell to their lowest level in almost three months, with uncertainty over China's growth prospects coinciding with a sharp rise in the value of the US dollar. The former British colony has experienced its most notable unrest in two decades over the last few days, as pro-democracy protesters have taken to the streets of the special administrative region to clash with local police. As a result, many normal economic and social functions, including schools and banks, have been temporarily closed, created a significant impact on the Hong Kong index and the Asian region as a whole. Investors have therefore acted to trim their exposure to companies with a strong presence in Asia, including Standard Chartered and HSBC, as well as the mining companies Rio Tinto and BHP Billiton. As such, the valuation of all of these organisations has taken a hit in the last few days. Jeremy Batstone-Carr, Head of Private Client Research at Charles Stanley, added: 'It's clear that disruption is weighing on investor sentiment.